Superb synthetic material for the realization of the post of our parachute flies. Thanks to its extraordinary buoyancy, is very suitable also for the construction of floating flies particularly for use in fishing drop. Available in 4 colors: white, pink hi-vz, vz hi-orange, yellow hi-vz. 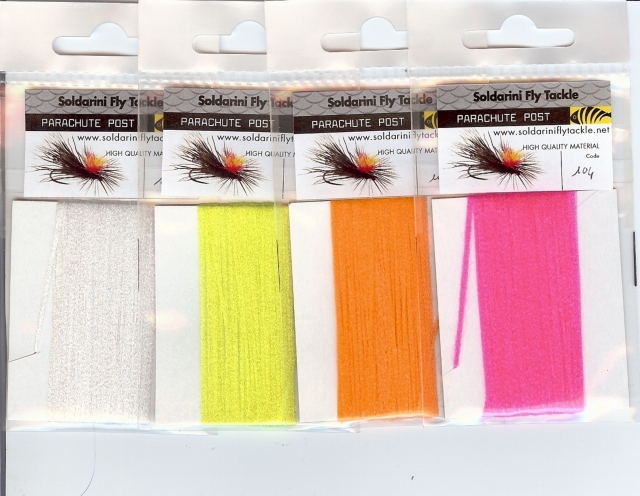 Superb synthetic material for the realization of the post of our parachute flies.